This Saturday, May 26th from 10 am -1 pm, I'm opening up my new listing for everyone to visit and get an in-person feel for the character, size, location, and charm. Come see me this Saturday, take a tour, ask questions, and get a closer look. (Keep reading to check out the neighborhood section of this article!) Can't make the open house? Like to see the home? Call/Text me at 253-226-2787 and we can schedule an appointment! Open, single-level living defines this bright North Tacoma rambler with a big backyard. Updated kitchen with stylish hex tile backsplash and stainless appliances flows seamlessly into the living and dining space with beautiful oak floors, a huge front window, built-ins, and a fireplace. The three hardwood floor bedrooms are tucked at the west end of the house near the fresh, remodeled bathroom. 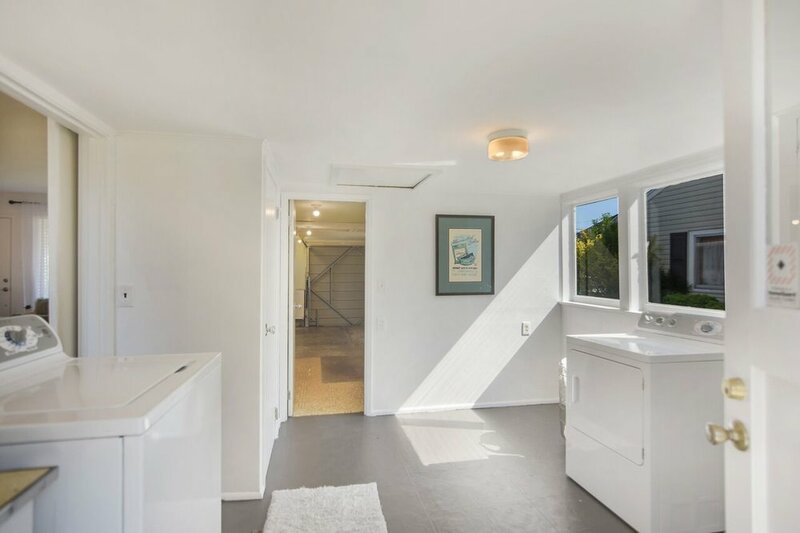 Off the open living space, a chalkboard barn door leads to a convenient laundry room. From the laundry room head into the attached single car garage or step out to the patio through a back door. You'll love the fresh exterior paint and retro charm. All this set in a fantastic central location on a cozy residential street between two of Tacoma’s best shopping and dining districts: 6th Ave and Proctor! The fenced back yard is an open canvas. Paved paths create shape and point to possibilities for herb gardens, flower beds, borders, and trees. Or, it can be left wide open for a low-maintenance play area. A simple patio is ready for your picnic table and bright umbrella. Set in a quiet residential neighborhood, this home is positioned between two of Tacoma's favorite business districts where coffee shops, groceries, outdoor markets, restaurants, and shopping abound. For example, Metropolitan Market is under 2 miles away in the Proctor District, but The Red Hot is also just 1.5 miles from the house in the heart of the 6th Ave District (which means Ice Cream Social is also that close! ), and Tacoma Boys is a 2-minute drive. It would be hard to find a better balance than this. Proctor is an easy trip in the car, bicycle, or even on foot for those who love to walk. If you do drive over, just park the car and plan to move around on foot once you're there as everything from the post office, library, grocery store, Olympia Coffee, consignment shops, gift shops like Compass Rose and Teaching Toys & Books, the Peaks & Pints taproom/bottle shop/pub, the bakery, Blue Mouse movie theater, Backstage Video movie rental (for real! ), and Chalet Bowl is in walking distance. There's more; you should check it out! 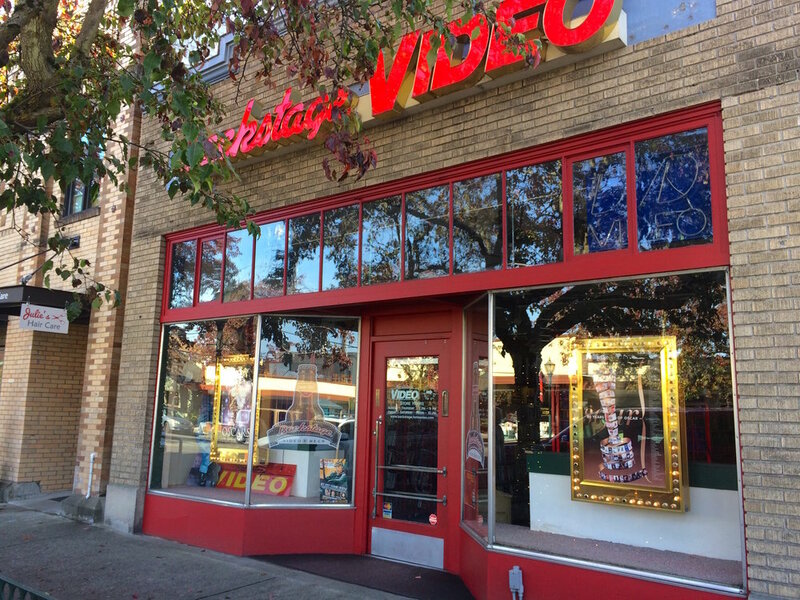 Proctor's Backstage Video - DVD/VHS rentals still exist! The 6th Avenue District has a grittier, funkier style than the more quaint Proctor District, so if you're not feeling one, head the other way. On 6th Ave find an eclectic mix from date night and happy hour possibilities at Asado, to fresh cones at Ice Cream Social, classic and vegan dogs at The Red Hot, vinyl at Hi-Voltage Records, retro and vintage fashion, small plates at The Table, tacos and El Borracho, some of the city's best sandwiches at MSM Deli, and Tacoma roasted coffee at Valhalla (less than a mile from the house!) and Bluebeard too. We could go on! Your friendly neighborhood park is less than half a mile from the door. Jefferson Park is a 15 acre park with a sports field, walking paths, trees for shade, picnic tables, and a playground with a sprayground for splashing on sunny days, and a restroom as well. Did we mention the University of Puget Sound is just a mile away? Truly, this home is located in one of Tacoma's sweet spots. I hope to see you at the Open House this Saturday, May 26th from 10 am - 1 pm. Have a great weekend!